Escape the January blues with the perfect feel-good romance! I’m new into this series, but each book is a standalone one so that was fine. I enjoyed this story, but didn’t love it. Its a fun read, something to relax with when you don’t want to have to concentrate too hard. A typical chic-lit read, perfect for holdays etc. 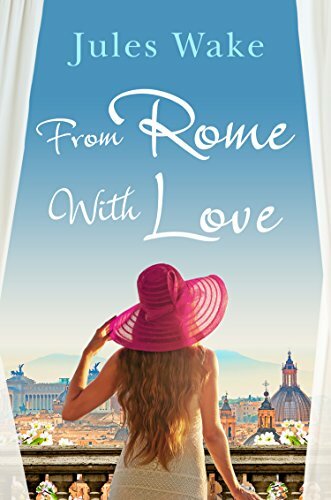 I loved Rome, the food, my mouth was watering at the descriptions, and Will’s enthusiasm about it, and the descriptions of the places they visited. Will is a lovely man, I really could visualise him, and he’s clearly liked by his staff, a kind of tough but fair guy. That meant his actions with Lisa in the past, after that one special night just didn’t feel right. Lisa was a sweet girl, but I never really felt her, never thought I properly understood her somehow. She and Will were clearly attracted, but I needed a bit more of that simmering sensuality that they both felt. Those parts really brought the romance alive but I didn’t feel there were enough of them…and the bit where it all goes wrong, well I saw that coming from, the first hint. Knowing what’s going to happen doesn’t spoil a book for me, I often reread favourites and if course know the ending, but somehow this was just too obvious, and Lisa reaction just didn’t feel right. felt very out of character for her. Stars: Three and a half, a fun chic-lit light read.